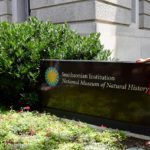 HIGH POINT, N.C., July 18, 2016 – Jordan Krisfalusi-Gannon, a rising sophomore at High Point University, is assisting scientists in perfecting sustainable fish bait that could bring substantial environmental and economic benefits. 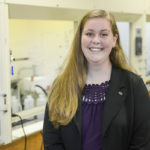 As a research intern at Kepley BioSystems Inc., a life sciences company in Greensboro, Gannon is part of a unique summer research program that allows her to solve a relevant scientific issue while gaining experience in a professional laboratory. From left to right are HPU student Jordan Krisfalusi-Gannon; Lee Robertson, research assistant at Kepley BioSystems; Dr. Anthony Dellinger, president of Kepley BioSystems; and Waleed Ali, a research scholar from Columbia University examining OrganoBait, one of the company’s products designed to be used as fish bait in place of forage fish. 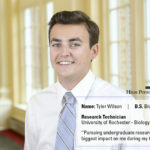 A biology major from Elgin, Illinois, Gannon was selected and funded for this opportunity through the National Science Foundation’s Research Experience for Undergraduates. 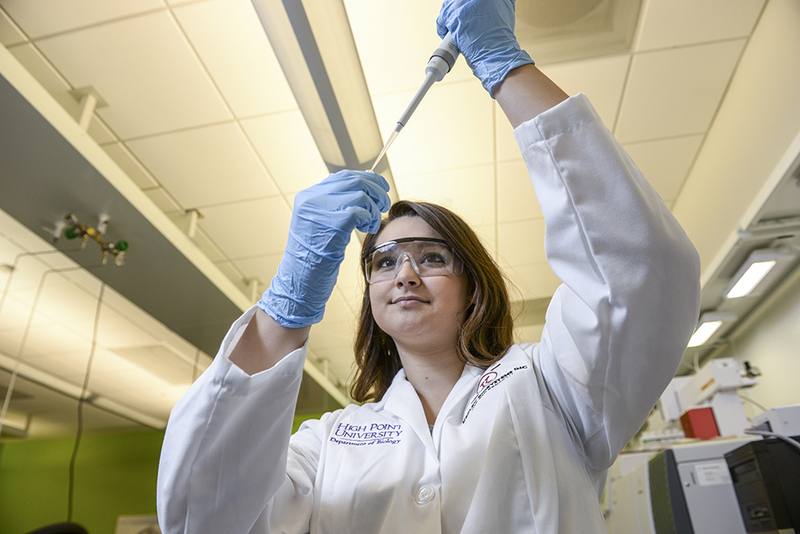 Through the program, she conducts research with Dr. Anthony Dellinger, Kepley BioSystems president, in the labs at the Joint School of Nanoscience and Nanoengineering. Gannon is helping the company improve the composition of one of its products, OrganoBait. This is synthetic bait that can be used in the ocean in place of the “forage” fish typically used by fishermen as bait. The dissolvable bait, which is about the size of a hockey puck, also helps with conservation efforts by keeping dolphins, seals and others out of fishermen’s nets and supports the food supply of sea animals. 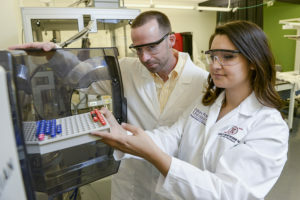 Gannon, pictured conducting research with Dellinger (left), was selected and funded for this opportunity through the National Science Foundation’s Research Experience for Undergraduates. 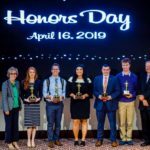 Dr. Kristen Bowey, lab manager in the biology department at HPU, helped Gannon connect with the research program. She says this is an especially unique opportunity. Very few students around the country are invited to participate in such research. As she explores career options, Gannon says the internship provides insight into the reality of how researchers work. The experience, she says, is deepening her love of science, which was sparked in Bowey’s class this year.